﻿I was deposed today. Just go away. This is official. I do not run the company anymore. My position has been taken over by Chase Carey. Carey was announced as Formula One’s new chairman right after Liberty Media announced their purchase of the sport. This change means that he will fulfill the duties of both the chairman and CEO. 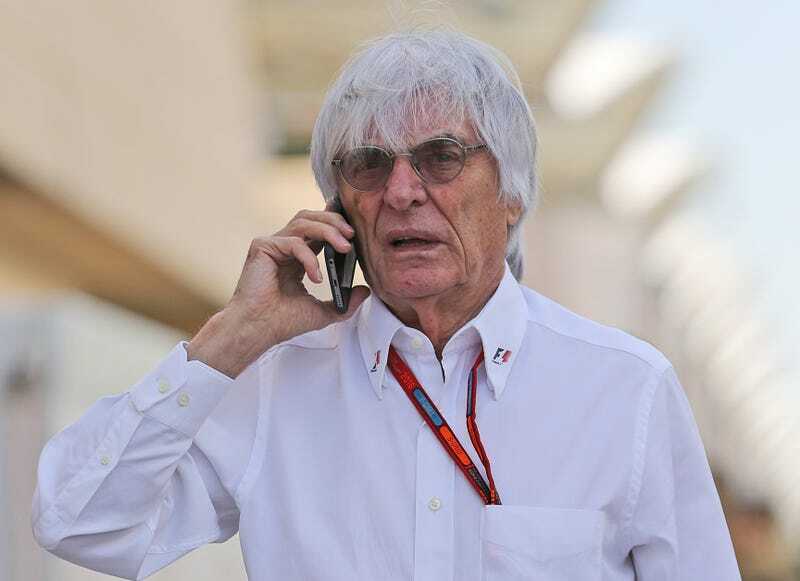 Ecclestone’s departure means that others will now handle contracts with race organizers and broadcasters, as well as serve as a political liaison between teams, the FIA, and other stakeholders. My new position is now such an American expression. A kind of honorary president. I’ll get this title without knowing what it means. Ecclestone is 86 years old, and has served in a leadership role over Formula One for over 40 years. Liberty Media and Formula One have yet to confirm the change, with an official confirmation not expected until Tuesday, per Motorsport.com. The FIA just approved of F1's sale to Liberty Media at a meeting of the World Motor Sport Council last Wednesday. Liberty Media Corporation and Delta Topco, the parent company of Formula 1 announced today that Liberty Media has completed its previously announced acquisition of F1, the iconic global motorsports business, from a consortium of sellers. F1 has appointed Chase Carey as Chief Executive Officer of F1, in addition to his existing role as Chairman, and Bernie Ecclestone as Chairman Emeritus of F1. Bernie Ecclestone, who has given valuable service to F1 over many years, will be available as a source of advice for the board of F1. Today, Liberty acquired 100 percent of the shares in Formula One, which represent an enterprise value for F1 of $8 billion. As part of the transaction, the Liberty Media Group will be renamed the Formula One Group, to be traded under the ticker symbol FWON. You can read more about the financial particulars of the sale here. I’m proud of the business that I built over the last 40 years and all that I have achieved with Formula 1, and would like to thank all of the promoters, teams, sponsors and television companies that I have worked with. I’m very pleased that the business has been acquired by Liberty and that it intends to invest in the future of F1. I am sure that Chase will execute his role in a way that will benefit the sport. Additionally, Liberty Media President and CEO Greg Maffei and new F1 Chairman and CEO Chase Carey will appear on the CNBC show Squawk Box at 7:00 a.m. ET Tuesday morning to discuss the sale. That mustache, though. Formula One’s new leadership team: Sean Bratches (left), Chase Carey (center) and Ross Brawn (right). Photo credit: Formula One. UPDATE #2 [10:00 p.m.]: Formula One also confirmed the addition of Ross Brawn as Managing Director, Motor Sports, and of Sean Bratches as Managing Director, Commercial Operations. Brawn is well-known in the Formula One world, having played a role in numerous world championships with Ferrari, Benetton, Williams and BrawnGP—the latter of which became the Mercedes F1 team that has dominated the past few seasons. Brawn has been acting as a consultant to Liberty Media throughout the sale of F1. Bratches’ last job was as the Executive Vice President of Sales and Marketing for ESPN, and he brings over 27 years of commercial-side experience to the role.